The Atlantic Lift Recliner by Franklin Furniture represents the way armchairs were meant to be. Deep, plush chenille and now with a 2-way lift and recline system, allowing you to recline and relax, and get to your feet as easy as you please. The Bridgeport Complete Futon. Includes mattress and frame. Buy it now at a special low price! The Casual Living collection of three tables by Liberty features saber shaped leg design, grooved table tops and round ends. The set includes two round end tables and one castered cocktail table. Solid Living by Liberty is a line of solid wood furniture that has a sense of history yet feels fresh and today. The Candlewood pub set includes the island table and 4 counter stools. Add some storage and functionality to any room with the Adeline Server Cart. Adelne features two shelves for storage, locking casters and has two removable trays for extra help serving. Constructed of asian hardwood solids and walnut veneers, the Adeline Kitchen Cart adds style and functionality to any room. The Cambrey Pub Table set has a simple elegance with a rustic design that will work in most any setting. The pub table has unique solid wood acacia top with a shelf good for storage or display. The counter stools feature a stylish wood slated back and upholstered seats for comfort. The SHIMMER Power Lift Recliner features SoCozi Shiatsu Massage, Power Adjustable Headrest, Contoured Seat Cushion and Power Lift creating the most comfortable and functional recliner you will ever experience. We guarantee you will enjoy this recliner day after day. Water-fall back, Charles of London inspired arm and a padded chaise capture the comfort that is "Fandango". The crisp tailoring and clean transitional styling wrap livable comfort into sophisticated styling that makes the Fandango a perfect fit for all homescapes. The power lift features provides easy in and out of this comfortable recliner. "Dayton and Springfield's Quality Furniture store - Locally owned & operated serving the Miami Valley for over 40 years!" When you purchase your new furniture or mattress from Cedar Hill Furniture, be confident that it will be delivered without damage and at a time convenient to you. Our people take great pride in making sure your purchase is deliverd and setup with the best of care. Cedar Hill Furniture offers our customers financing options with approved credit. Cedar Hill Furniture is Dayton and Springfield's Quality Furniture store. Locally owned & operated and serving the Miami Valley for over 40 years, shop Cedar Hill Furniture for a HUGE selection of quality furniture at the absolute best price. 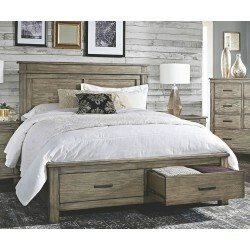 “Quality, Comfort, Style, and Made in the U.S.A.” are a few reasons why Cedar Hill Furniture stands out from the rest. We invite you to shop one of our stores in Dayton, Huber Heights, or Springfield before you buy anywhere else.